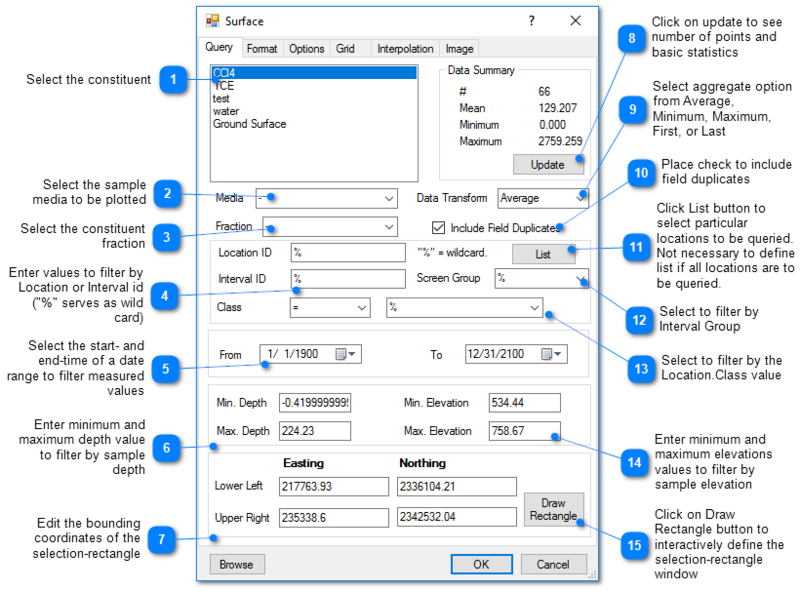 EnviroInsite has the capacity to create a 3D surface based on water level or ground surface values, and if desired, draping an image on the 3D surface. View a training video on draped images here. 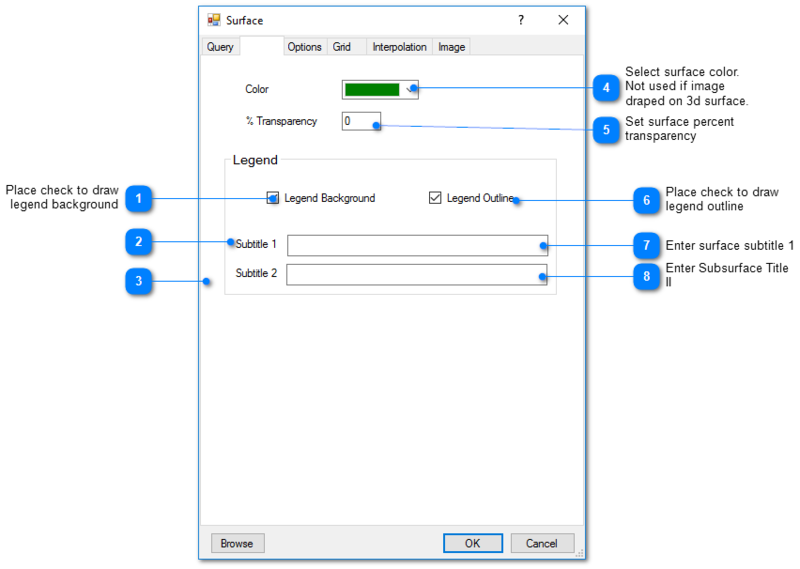 Click Plot> 3D Data from the main menu and select Surface. 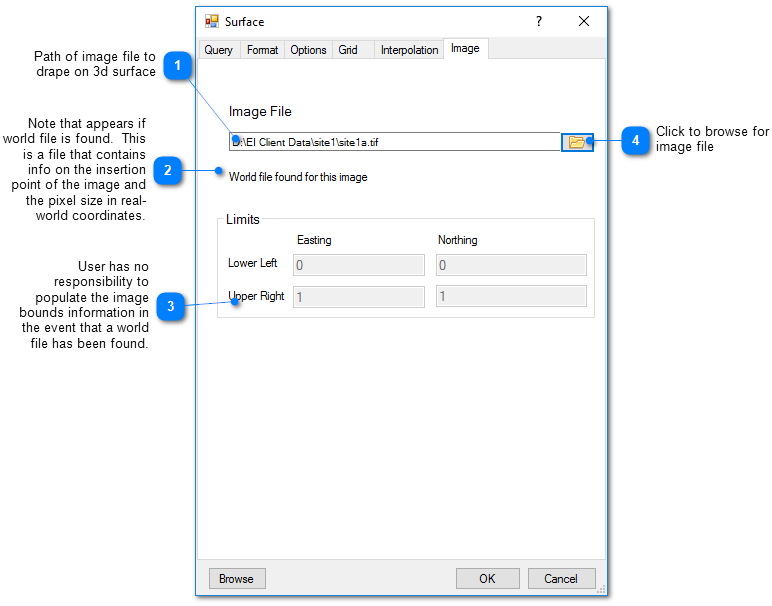 Modify the surface properties on the Query tab, Format tab, Options tab, Grid tab, Interpolation tab, Image tab, and EQuIS Query tab as desired. Click the OK button to save changes. 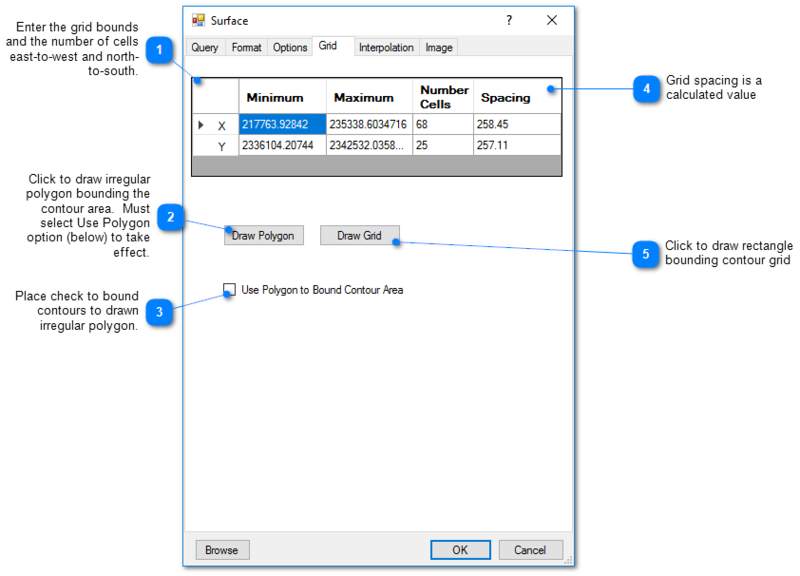 This tab allows the user to select the interpolation scheme and the parameters of the interpolation method. 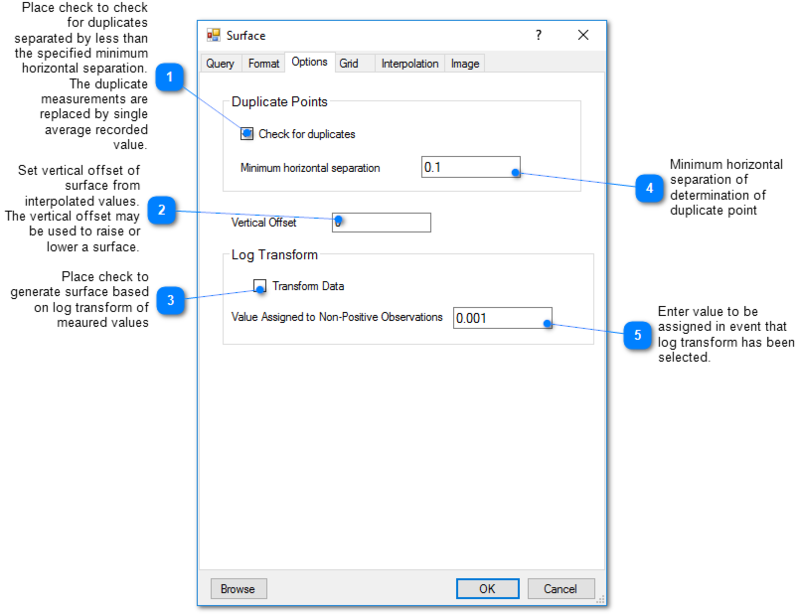 The correct selection of interpolation parameters is critical to generate a 3D surface that accurately reflect the field data and our expectations of how the values vary between the measured data points. Refer to the discussion of interpolation methods to decide selection of method and properties.